SDI’s Solo Diver program teaches experienced divers how to safely dive independently of a dive buddy or strengthen your buddy team skills. 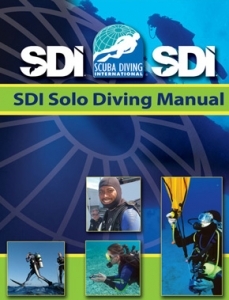 The course outlines the benefits, hazards, and proper procedures for diving solo. Upon successful completion of the class, graduates may engage in solo diving activities. The instructor has final approval authority on accepting anyone into the class even though minimum prerequisites have been met.